The Fire Walk that I have participated in was the most uplifting, positive experience that I have encountered in my life. After walking on those hot coals I really have more faith in myself and that what ever I put my mind to I really can achieve! Thank You Vincent for giving me the opportunity to experience something so Wonderful and Awesome! Wow! I had quite the juicy and vivid experience Saturday night. I thank you so very much! I HAD forgotten what a potent passage the Firewalk is…I certainly am experiencing a deepened clarity that comes from the opening of that night. I’m so glad I got to walk with you and experience your ease and grace as a Fire Walk guide. You are an awesome mentor and gifted way shower. You have spurred me on to more action than I have taken in years! I have had a huge shift… I even slept better and felt happier next morning. Thank you for your brilliant coaching! Thank You! You were the hit of the night! Vincent is genuine. You can trust him to walk you through fire, literally, yet he hasn’t lost touch with what it feels like to struggle with fear. Vincent is one of those rare people in my life who has no qualms about calling me on my crap, holding my feet to the proverbial (or even literal) fire, and holding me accountable for making a conscious choice to become ‘unstuck’. In a recent coaching session, Vincent was able to, within 30 minutes, help me not only identify the core of the issue and fear I was struggling with, but also helped me to create a clear action plan. The results of that plan have been nothing short of astounding with 2 contract opportunities, an accepted offer and a flight booked to start my new adventure all within 5 days of that very conversation. Vincent ROCKS!!! In three weeks since the firewalk I have started a whole new business called TEA TALKS, recreated my entire website and I am booked with TEA TALK events through June and still booking more events daily. I am now in a mastermind group and set a date for the book launch of the Second Edition to my book, Sereni-Tea: Seven Sips to Bliss. The new subtitle of the book came after the firewalk, too. I have also offered this same book as a co-authorship for others in the tea industry to share their story, their mission and their passion about tea in the book along with my story. I have several partners signed up already and more are to come! Days after the firewalk I received an invitation to speak in Dubai at their annual Coffee & Tea Festival. YES !! I AM UNSTOPPABLE !! What else can I say but thank you, Vincent, thank you! The personal transformations we made yesterday were huge. My wife and I have had a rough run lately post marriage with her family. Your words could not have come at a better time. It felt like she was really able to let go of the “bad energy” that has been surrounding us and breathe in fresh new energy. We are opening up a new chapter in our lives and turning the page. Thanks again for all your words. We are energized and just really stoked! Thank you for incredible experience and journey…my life will never be the same. I walked into that room with more confidence than I have ever had and I came out feeling like the bigger person…an empowered person. Thank you so much Vincent for teaching me to allow myself this power! 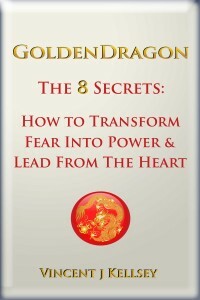 I just read your book Golden Dragon~The 8 Secrets: How to Transform Fear into Power and Lead from the Heart. When I did the first exercise about the common thread in your dreams fromthe age of 7, 14, 23, 33 etc… I remembered that I had wanted to be a Doctor and to heal people…as I did the exercise I realised that I didn’t necessarily want to be a medical doctor but a PhD…ie Dr Jesvir Mahil…someone who has contributed innovatively to human knowledge in a manner that heals and benefits people in living their lives…thank you for helping to confirm for me that I need to complete my PhD in Equine Assisted Education as this is an unfulfilled wish from my teenage years (to be a Doctor). Michelle Tree, CEO , Why Go West, Inc.
Quantum Success Group put on an amazing event for us. Many of our participants felt it was a truly transformational experience and it is certainly one they still speak about today. Vincent and his team were 100% professional and thorough, and handled all the details perfectly. What more could I ask for! The event was truly amazing. I have seen a dramatic transformation in my life! I received a promotion and double digit raise at work soon after walking on fire. My love life is also greatly improved. One very interesting thing occurred, my friend who came with me to the event has said she no longer has pain from a previous foot surgery after walking the fire! Everyone should attend your events – they will never be the same! Walking the fire was the most incredible experience of transcending my fears. Pure elation! After the firewalk, other problems and situations that were going on in my life seemed so much smaller and less complicated. I jumped right into challenges and conflicts with more enthusiasm than ever before. The firewalk was tremendous, and I would recommend it to anyone and everyone: no exceptions. Thank you so much for helping me to stay motivated and providing me with invaluable advice and mentoring to help me to materialize my business goals. Your coaching sessions have guided me, and I’m confident that I can use your suggestions to make my business a household name! I will definitely spread the word with my friends and business associates to contact you if they need a business leadership coach. You are a natural at helping people to discover and access their true gifts and how to take those necessary steps to open that door to success. Thanks again! We recently brought Vincent in to do a firewalk event for our YPO graduates and it was everything we could have hoped it would be. The feedback from participants was great and everyone had a fun, empowering, and more importantly, safe – firewalking experience. We would gladly recommend Vincent for your event! We are so grateful for the amazing experience with Vincent j Kellsey and Quantum Success Group. The event was incredible and the entrepreneur students from Quattro University absolutely loved the transformational experience. It has been one of the highlights of the Quattro University experience. Thank you, Vincent!